When it is time to go on a vacation, there are a lot of details to look into to make your holiday a perfect one. Also, a traveler’s concern will be on cutting costs and eliminating unnecessary expenses. People find that going around in a car is more convenient than taking public transportation and so here are a few tips on how to get the cheapest rental car. The early bird does get the worm, especially when you book 3 – 4 weeks ahead. However, the rates tend to change every day and the closer that you get to the date, the higher the rates become. Also, if you were to book closer to your travel date, you will also be getting a limited choice of cars and you might be left with the higher range cars which would mean even higher rates. Generally, the smaller cars and family cars are the ones that will be booked first as they are cheaper. However, look up the next level cars too, as sometimes they might cost the same as the base models. Everyone knows that booking in peak seasons is foolhardy as the rates will be astronomical. However when you book ahead for peak seasons, there is a good chance that you will get a discount that is at least 8% to 30% cheaper. Just like advance booking tends to save money for you, so does last minute deals. Looking up a site like lastminutetravel.com will enable you to be spontaneous and get good discounts at the same time. Also book your trip for spring and here is the reason why. There are many car rental companies which move their vehicles from one to another in preparation of summer season when the travel business peaks up. So you can check out Alamo and National whether they need drivers to move their cars around and if you are not particular about your destination, you can get to rent the car for 21 days for as little as $10 a day. Avis and Budget also offer similar rates during this season, but they allow you to keep the car only for four days. Many people just book the first car the rental agency suggests without getting into the details. 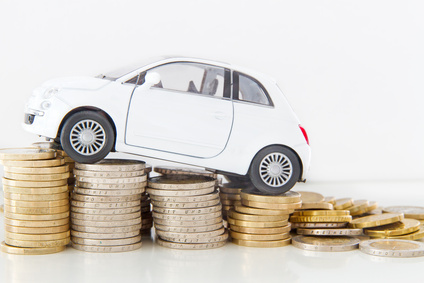 This negligence may lead to a large bill and that is why you should go for compact cars. Compact cars are light vehicles with small engines which give better mileage and at the same time has space to accommodate the entire family just like a four door sedan will do. To add the icing to the cake, compact cars are not expensive, but are actually in the cheaper range. 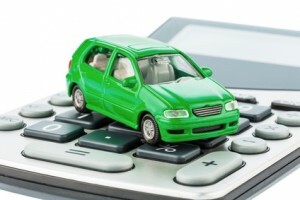 An online search will reveal many websites such as www.economybookings.com, www.rentalcars24.co.uk and www.car-hire.net which compare current car rental rates to give the most economical option. There are more than 500 car suppliers who have registered on these sites and most of them offer competitive rates. You will also notice that due to lower operating costs, smaller companies charge less, but at the same time, keep a sharp look out for discounts and reward points which older and bigger companies usually give. Never book in the first car rental site that the search engine churns up, but keep browsing till you get to know all the discounts that the other companies are offering. There are companies which allow the user to combine offers and so always ask for the company to quote the final price after all the deductions. Also, if you love travelling or your job takes you places, then consider becoming a member of a car rental site. This way you will get reward points and loyalty points when you keep returning to them. Rather than going directly to car rental websites, you can browse websites that will tell you the agencies that are offering promo offers and discount coupons. Another way to save money is when you book your rental car along with a package such as flight tickets and hotel bookings. This way, you will get the deal a whole lot cheaper than if you were to book them separately. Most car rental companies will cover insurance along with your rental rates, but beware of companies which give you the option of choosing excess insurance. You do not need it and you can get the necessary insurance policies from other providers at a cheaper rate. Do not be late in returning the car as some agencies will add a hefty late fee even you are just an hour late. So if you are driving around a new place give yourself more time to find your way through.